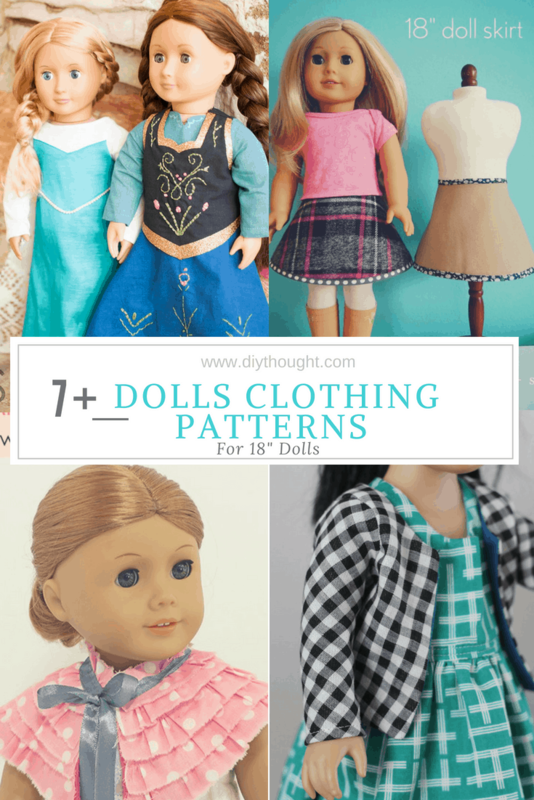 Today we have found 7+ dolls clothing patterns for 18″ dolls. 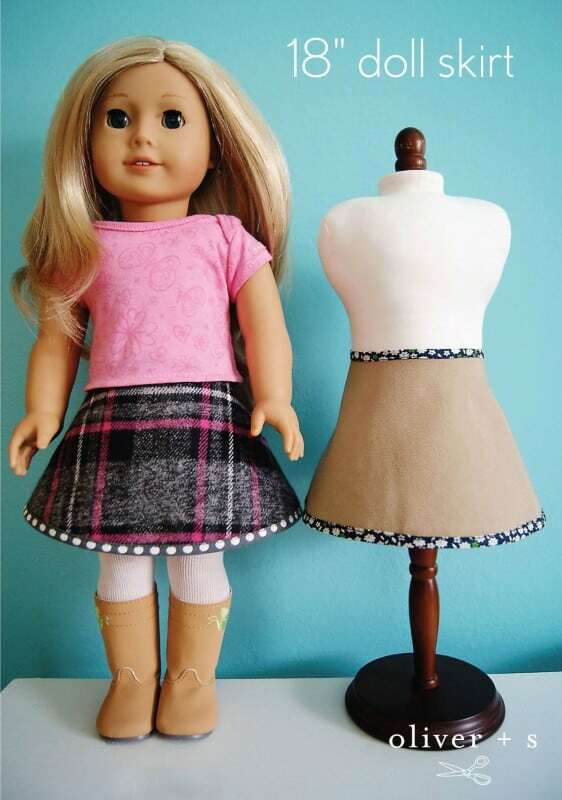 These patterns are great for American Girl Dolls, Our Generation Dolls or any other dolls that measure 18 inches! You can even scale the patterns up or down if you have a different size doll. 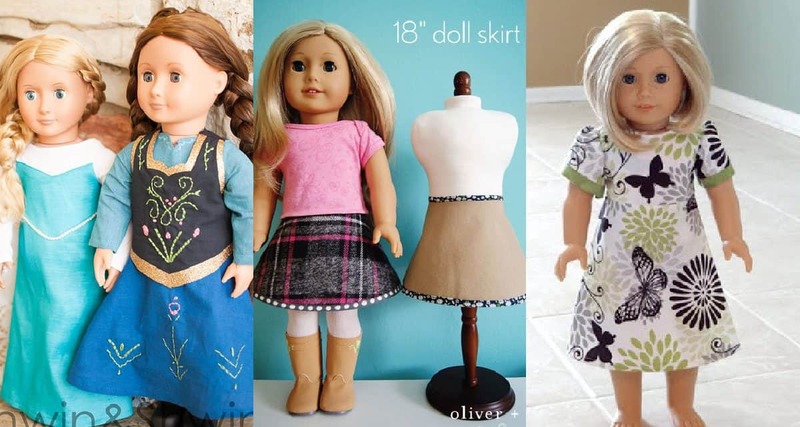 So say no to overpriced dolls clothes and yes to making your own! All dolls need pajamas to wear to bed! 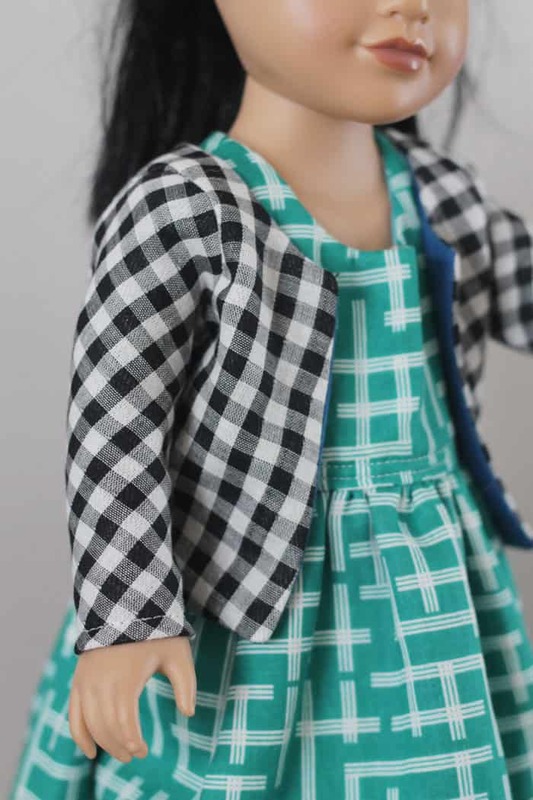 This is a simple pattern that doll and child will love. Click here to read the full tutorial. 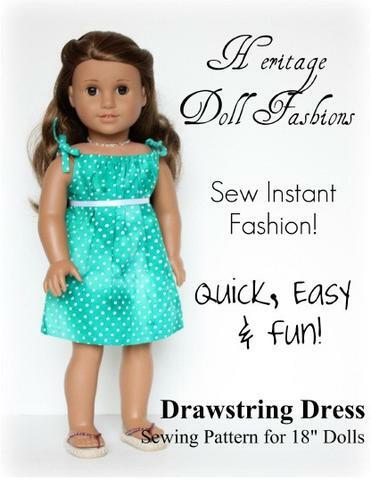 Pixie Faire has a massive range of 18″ dolls clothing patterns. There are all sorts of patterns to choose from including beach accessories, hats, slippers and a dolls bag. 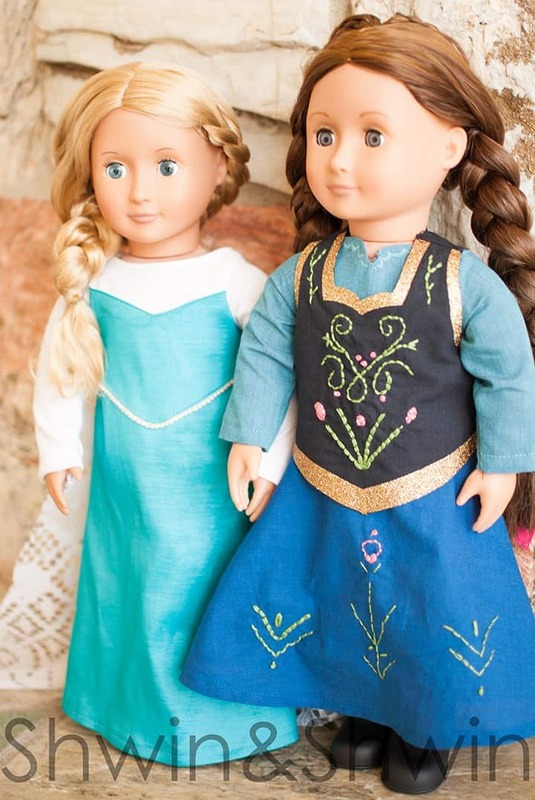 All children who love dressing up as Elsa or Anna will love to dress their dolls in matching costumes. Thanks to Shwin & Shwin it is easy to make your own! 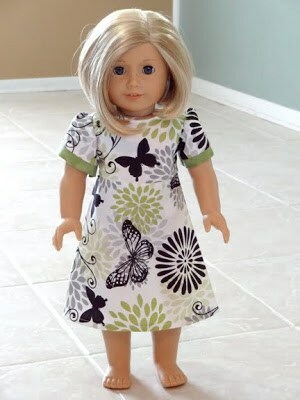 This basic dress is beautiful but simple enough for a child to sew with a little help. Make a selection of these dresses with different fabrics for a whole wardrobe of fun. Click here to get the free pattern. This adorable cardi is perfect for layering over dresses and equally as good to dress up a casual shirt. Imagine Gnast also has lovely patterns for a dress and pants. 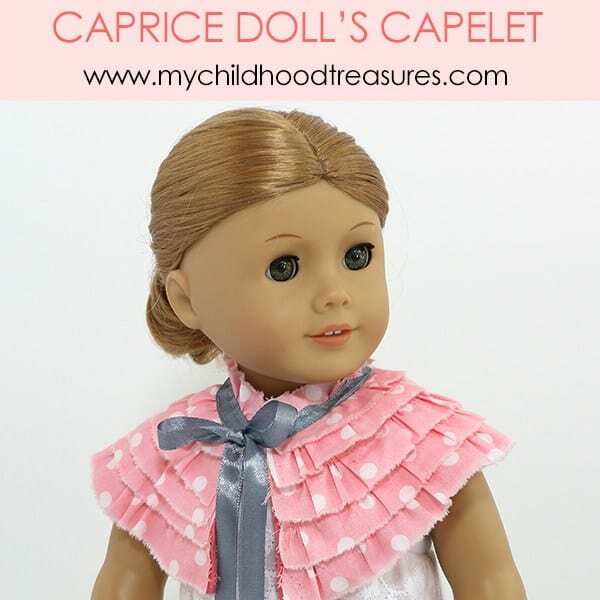 Your doll will love receiving its new cape, as it will go perfectly with any outfit. Find out how to make it here. 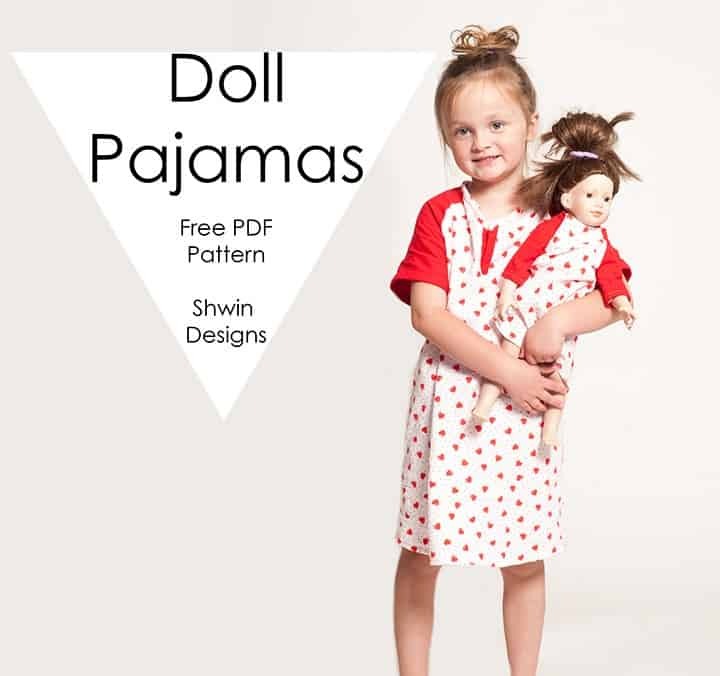 Also available is a free T-shirt pattern and a free dolls pillow pattern. This skirt is very easy to make and can even be made reversible. This is one pattern you need to make! Get the free pattern by clicking here.